Not a member but want to come to this event? No problem! This one day membership allows you entry to the Space and this event! ~ Please bring a dish to share. Free to all member! But we do ask you bring a dish to share. Do you miss the good old days of Saturday morning cartoons? We do! 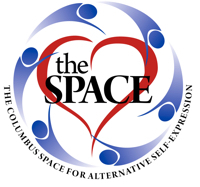 The Columbus Space is teaming up with LOCO – Littles of Central Ohio to bring you a morning of cartoons, coloring, chatting, and comfort food! Join us Sunday, August 7th from 10am-1pm we will show variety of cartoon favorites from the late 70’s to the early 90’s. There will be a coloring corner set up with supplies for coloring. Also, if you have a fun toy or game feel free to bring it to share with your new friends. This is a gathering primarily for bigs, littles, middles, admirers and those who are little friendly, but is open to anyone. This event is a safe space for altered headspaces around age play dynamics. DD/lg, Mommy/boy or girl/etc. Please BYOB (bring your own big) or be responsible for your own safety and headspace. We can't stress enough that your safety is of the upmost importance and you need to be able to take care of yourself during and when leaving this event. This event is a type of munch, so let’s keep things in the category of bright (light) ageplay. Please save your dark ageplay or other kinks for other events :) If you have any questions about the appropriateness of things please don't hesitate to ask either justblush or Brat_Sheba. We are trying to create an environment that is safe and welcoming to all ageplayers. Feel free to wear your pajamas or comfy clothes. Bring a pillow or blanket, and of course your Stuffy friends are also welcome to join us! Please bring something tasty to snack on :) Preferably something breakfast or brunch themed.